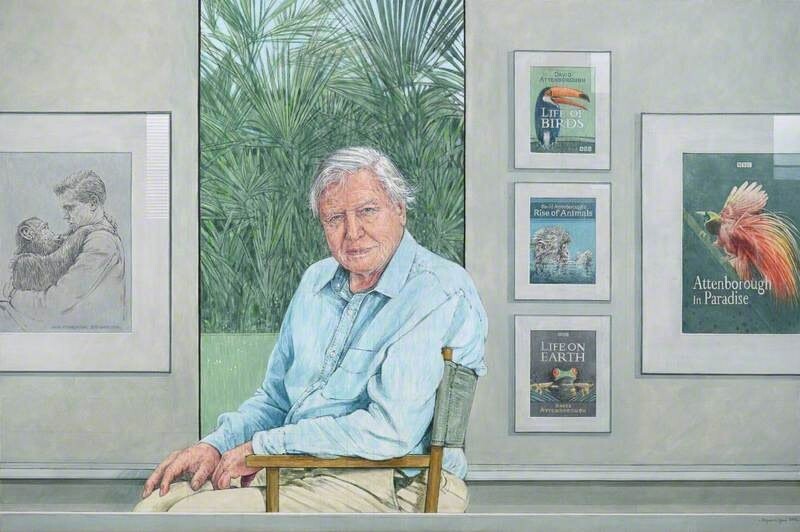 Bryan Organ's portrait of Sir David Attenborough has been unveiled at New Walk Museum & Art Gallery, Leicester. Organ had already painted David’s older brother, the actor and director Richard (later Lord) Attenborough, which also hangs in the same collection. Asked what it was like to paint David Attenborough, Organ says that it was "very complex, very enjoyable. David was hugely enthusiastic and totally cooperative". The final painting, which took a year to complete, now complements Organ’s earlier portrait of Richard, with the brothers united in their home city, painted by an artist who attended the same school. The unveiling of the portrait was featured on BBC News, and the painting is the subject of an article by Lars Tharp, on the Art UK website.